You love being a Mom or a Grandma. 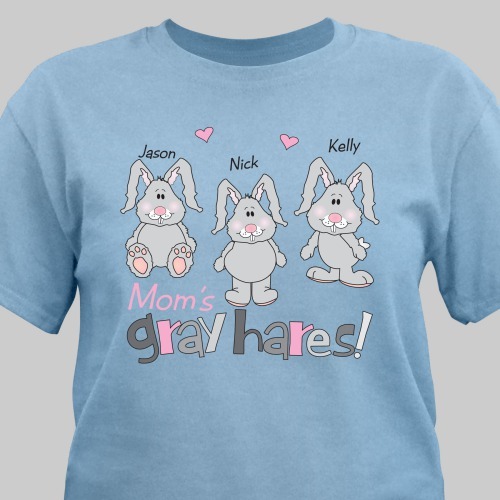 Now show off your kids and grandkids with this delightful Personalized Shirt. Our Personalized Mother’s Day Gift for Mom or Grandma makes the perfect unique gift your Mother or Grandmother will cherish forever. Mom's personalized bunny shirts are available on our premium 100% cotton Hot Pink T-Shirt, machine washable in adult sizes S-3XL. 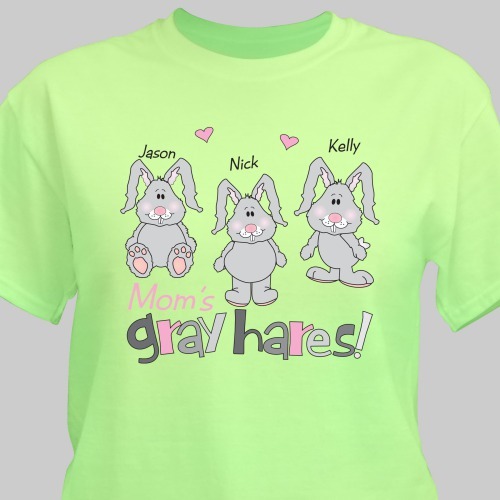 Free personalization includes any title like Mom, Grandma, Nana and up to 30 children or grandchildren’s names each printed with their own bunny. I purchased this shirt for my mother for Mother's Day. I was so happy when I opened the package and could hardly wait for the day to give it to Mom. She loved it!